Finding Max with Miles Witt Boyer Photography was a far greater gift than we realized when we first contacted him early last year. Little did we know we would not only be hiring a great photographer, but a wedding ENTHUSIAST. Being just 20 years old and the first of our friends to be married, neither of us had even been to a wedding before our own… and boy were we nervous! Max arrived and immediately put everybody at ease. Everyone felt as though he was just a family friend in the room there to help. The experience he has in weddings is very apparent, as he had several tips and tricks up his sleeve to help keep the day moving flawlessly! He was able to fit all of our requests into the busy schedule and still kept us on track for timing. It is so easy to get lost in the fuss and become stressed at your wedding. The “go with the flow” attitude he has truly allowed us to be in the moment and enjoy every bit of our day. It is true that your wedding night quickly becomes a blur when it is all over with. Receiving our wedding photos was like reliving the entire day start to finish and brought tears to our eyes. He moved throughout the bride and groom’s suites before the ceremony and captured precious moments that we didn’t even know happened. During the ceremony he flowed through the room effortlessly and caught true emotions from our family and friends that we weren’t able to experience with them at the time. All while fully documenting our own special moment at the altar. 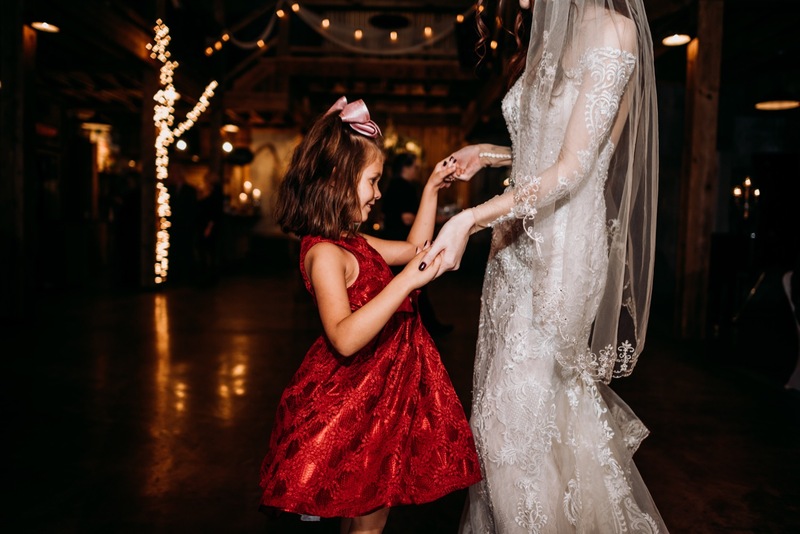 We truly could not have wished for a better person to document our day. We are more than pleased with the outcome of our photos and owe it to Max for giving us memories to relive forever.